KoKoLati is a family business, all products are crafted in our in-home studio in Southern California. 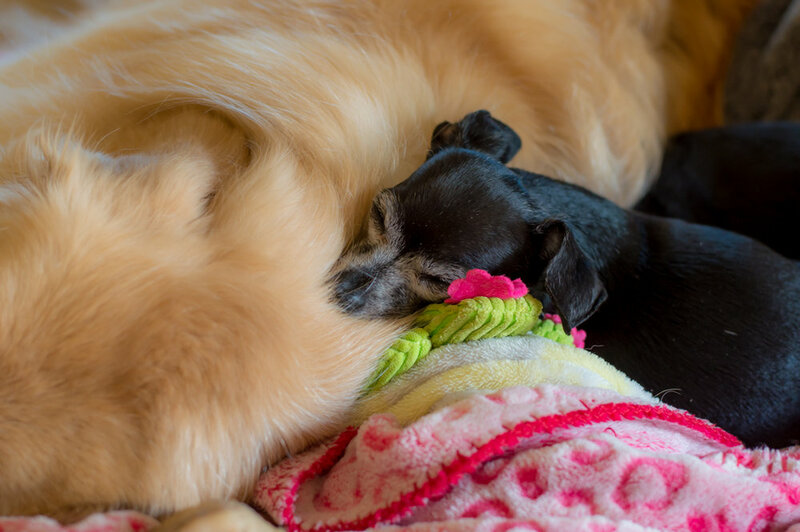 The dogs sleep at our feet while we work on the leather. On summer days, with the windows open, you can hear the whinnying of horses up the valley. Inspired by some of our favorite things, places and nature, each design starts on a scratch pad of paper. 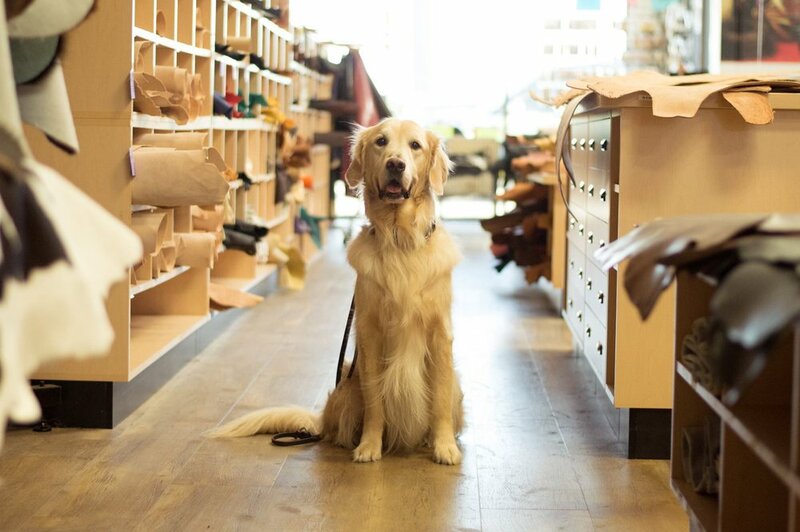 We use traditional leather working tools to bring each design to life. Every piece is crafted with love and care. 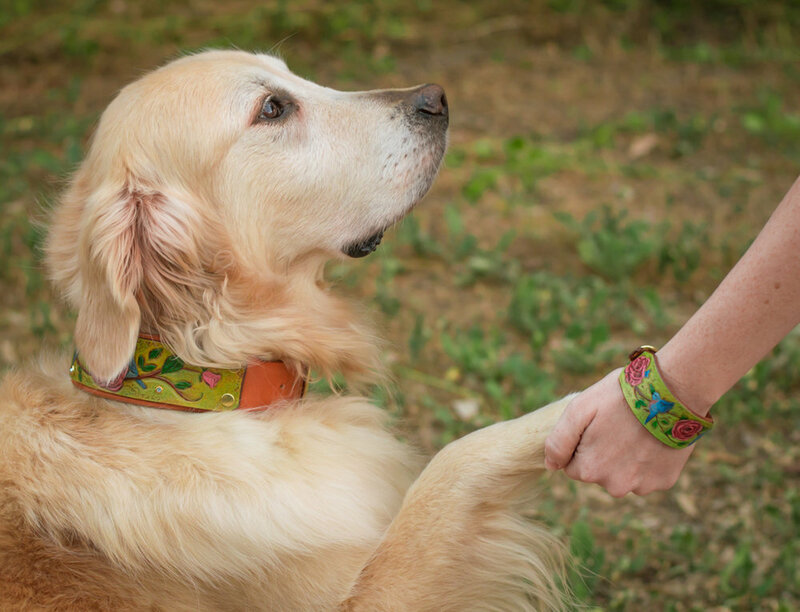 When you purchase from KoKoLati, you know you are getting a product that was created just for you with your pet in mind. Here at KoKoLati Leather, we are committed to using the finest materials available. We use a premium, full-grain, vegetable tanned leather. Vegetable tanned leather makes up only 10% of leathers worldwide. It is a traditional, high cost tanning process that uses natural ingredients as opposed to chemicals to tan the leather. This creates a soft, durable leather that will stand the test of time. That beautiful squeak of new leather, and the gorgeous patina that develops after years of use, is unique to vegetable tanned leather. I grew up on a small ranch in sunny San Diego, California. 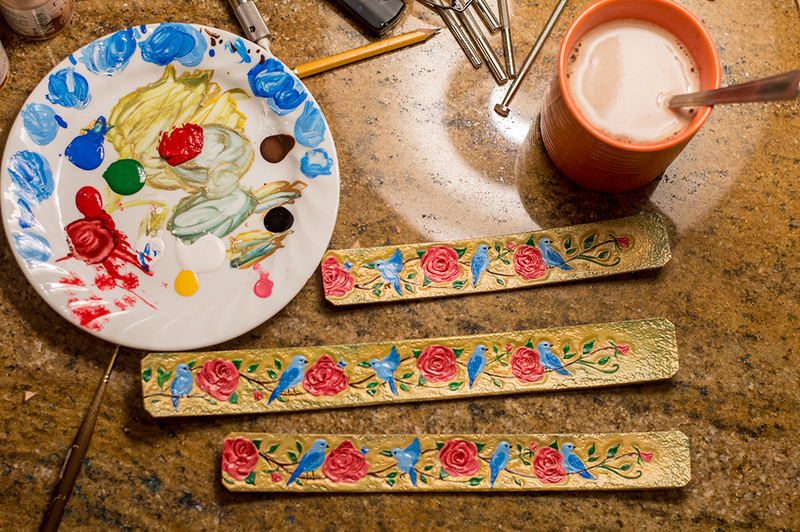 My mother passed on her love for art and I spent many days working alongside my grandfather in his workshop. I’ve always loved animals, especially dogs, and began fostering and training rescue dogs at a young age. Throughout my life, I struggled with some health issues. 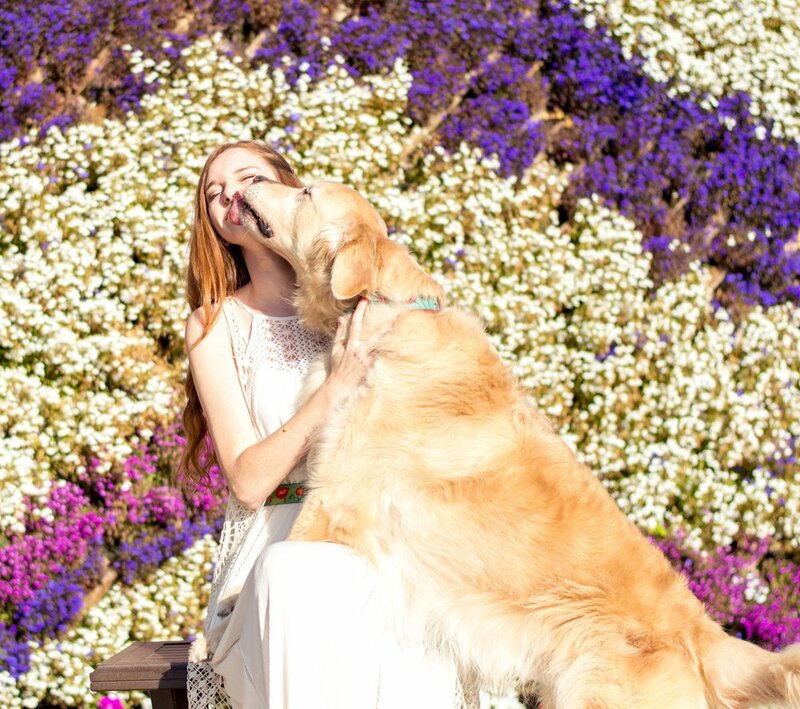 A charming Golden Retriever named Riley stepped into my life, trained to protect and serve. He’s also incredibly goofy, a real entertainer, and quite full of himself. The tasks he was trained to perform have given me independence, but the bond we share has made the biggest impact on my life. I wanted something special to mark the day we graduated as a service dog team. 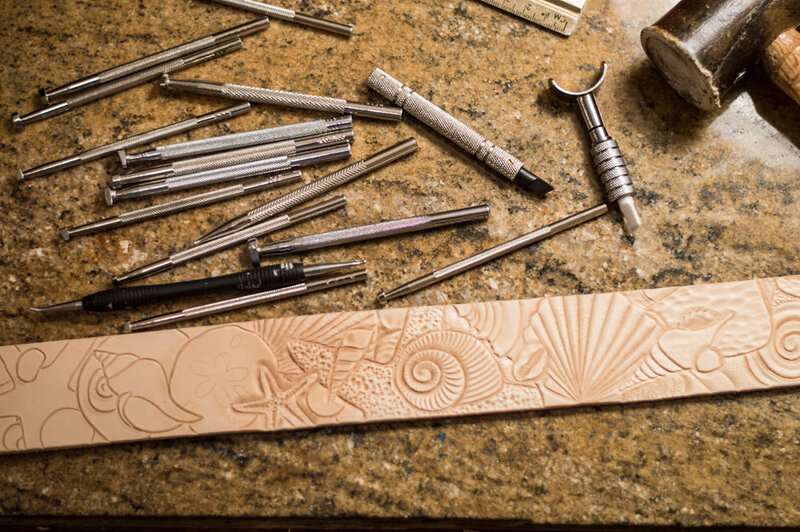 While searching, I stumbled upon tooled leather products and was enchanted with the process. I crafted my first pet collar in 2012, and KoKoLati Leather was born! The response I received after posting that collar on Facebook has forever changed my life. I have been so overwhelmed by the kindness of strangers who have followed me on this journey. I have met so many wonderful people and their lovely dogs, heard such powerful stories of the pet-human bond, and made great friends along the way. Every time I receive a picture of a dog in their collar, or hear feedback from a happy customer, my day has been made!